Bangladesh authorities fear their presence could revive communal tensions between the local Muslim population and the tribal minority, who are mainly Buddhist. Tribal groups ended their separatist insurgency in 1997 and signed a peace treaty with the govt. Cox's Bazar, Bangladesh: Bangladesh is to move to a camp at least 15,000 Rohingya refugees who have settled in a restive hill district near the border with Myanmar, a local official said Sunday. Most of the estimated half a million Rohingya who have arrived in southeastern Bangladesh over the last five weeks after fleeing violence in Myanmar are crammed into the camps that have sprung up on government land. But thousands of the mainly Muslim refugees have settled in the nearby district of Bandarban, part of the Chittagong Hill Tracts, where indigenous tribes waged a separatist insurgency in the 1980s and 1990s. 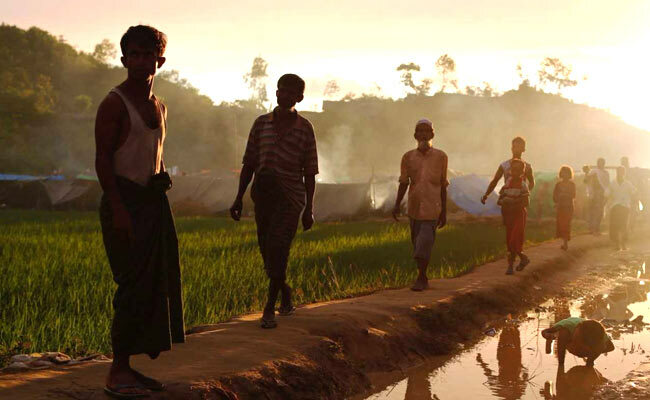 "The government has now decided to shift all 15,000 newly arrived Rohingya to the main camp," Bandarban government administrator Dilip Kumar Banik told AFP. Banik said the government would begin moving them on Monday to "ensure peace in the hill district". Bangladesh has opened its borders to the Rohingya, who are denied citizenship in their native Myanmar. But it has not granted them official refugee status and has made clear it does not want them to remain indefinitely. Authorities have restricted the movement of the refugees, banning them from leaving the overcrowded camp areas where hundreds of thousands are living in desperate conditions with inadequate shelter. Banik said the government also wanted to move around 12,000 Rohingya who are stranded in the nearby no-man's land between Bangladesh and Myanmar. Tribal groups ended their separatist insurgency in 1997 and signed a peace treaty with the government. But tensions persist between the local Muslim population and the tribal groups, who have close ties with the ethnic Rakhine Buddhists accused of carrying out attacks on Rohingya in Myanmar. In June this year local Muslims torched hundreds of houses in a tribal community following the alleged murder of a local politician. And in May last year a 75-year-old Buddhist monk was found hacked to death in Bandarban, an attack later claimed by the Islamic State group.